What is Electric Vehicle Powertrain School? HSSMI’s Electric Vehicle Powertrain School (EVPS) is an advanced-level, technical boot camp designed to teach delegates how to design for manufacture, build and run production of the different primary elements of an electric vehicle’s (EV’s) powertrain. The EV industry is due to grow exponentially and it’s vital that those involved in automotive manufacturing, and its surrounding industries keep their technical knowledge up-to-date to remain at the forefront of the industry. Our involvement in various collaborative R&D projects with major automotive OEMs gives us a unique level of interaction and insight into the EV industry. It is this knowledge and experience we use to inform our tailored training and ensure we are teaching our clients exactly what they need to know. HSSMI EV Powertrain School’s Lithium-ion Cell (LiC) Manufacture module is an advanced-level course designed to quickly introduce electrochemistry principals and how they are applied to the practical application of Lithium-ion Cells. This module will highlight the mechanical and chemical considerations made during design to tailor cell performance for applications and manufacture. The topic is explored further with the inclusion of cell selection for application, alternatives to Lithium-ion, understanding failure modes and a look at today’s global market. HSSMI EV Powertrain School’s Lithium-ion Battery (LiB) module will introduce fundamental knowledge for understanding and designing battery packs. The key principles for battery pack design will be explored first before being demonstrated on practical applications. Battery pack manufacture and construction techniques are then discussed with the aid of case studies. Testing methods are also explored throughout the manufacturing process and what considerations are required to develop a test strategy. HSSMI EV Powertrain School’s Electric Motor (EM) Manufacture module is an advanced-level technical boot camp designed to teach you how to design for manufacture, build, and run production of electric motors, particularly for electric vehicle solutions. The boot camp will include topics such as AC vs DC motors, motor construction, motor supply, motor control, types of motor, self-commutated externally commutated motors, EMs advantages vs traditional ICE components and a look at today’s global EM market. HSSMI EV Powertrain School’s Electric Vehicle (EV) Manufacturing module is an advanced-level technical boot camp designed to teach you how to design for manufacture, build, and run production of electric vehicles. The boot camp will include topics such as the history of EVs, EV design, powertrain design, types of EVs, high volume EV manufacturing processes and equipment, EV advantages vs traditional ICE vehicles, manufacturing repurposing for EVs and a look at today’s global EV market. HSSMI EV Powertrain School’s Electric Vehicle Safety and Transport module provides an appreciation of the risks and measures required for electric powertrains. The course includes an understanding of high voltage system safety, considering the battery pack, electric motor and other components. The logistical requirements for lithium ion battery transportation, storage and waste is also covered. HSSMI EV Powertrain School’s Fuel Cell (FC) module is a technical boot camp designed to teach you the basics of fuel cells and their application for electric vehicle solutions. The boot camp will include topics such as their construction, materials used in their manufacture, operational capabilities and advantages they can bring vs traditional ICE components and an introductory look at today’s global fuel cell market. HSSMI EV Powertrain School’s Design for product end of life module is an advanced-level technical boot camp designed to teach you how to assess and influence product end of life during the design phase. The boot camp will cover topics such as the importance of designing for product end of life and design strategies and decisions specifically for EV powertrain components. 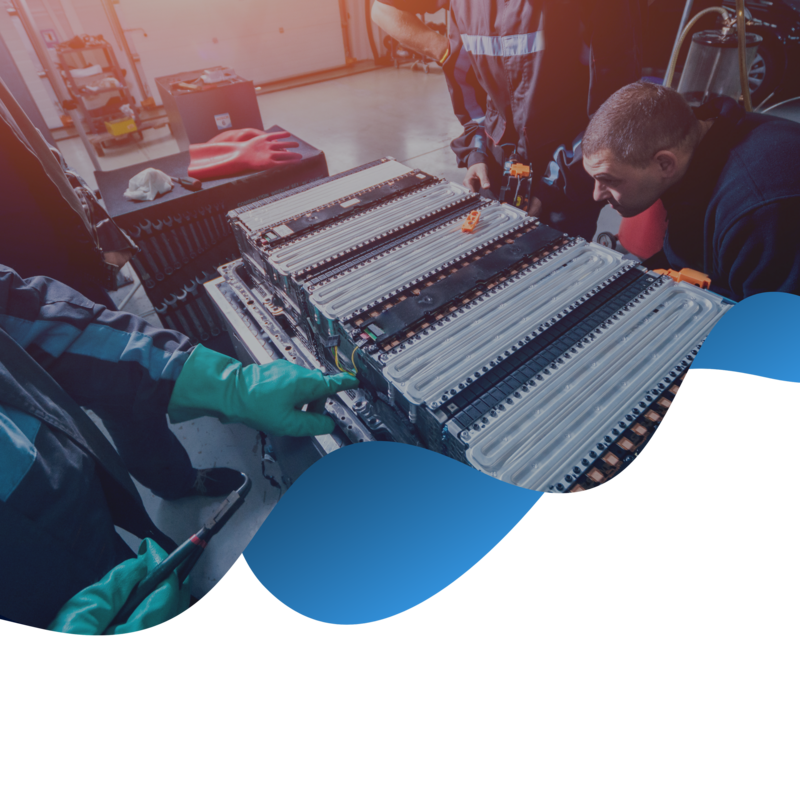 HSSMI EV Powertrain School’s Electric Vehicle (EV) Infrastructure module is an advanced-level technical boot camp designed to teach you about the latest charging technologies, and the challenges faced installing EV charging infrastructure. The boot camp will include topics such as the history of EV infrastructure, EV infrastructure today, types of EV charging infrastructure and the technology behind them, the effect of EV infrastructure on the electricity grid (and vice versa), planning and funding the installation of EV infrastructure and EV infrastructure standards and safety. HSSMI’s Electric Vehicle Powertrain School delivered a bespoke Training Program professionally with engaging material and methods. Without question a day well spent at the Stratford based Institute.